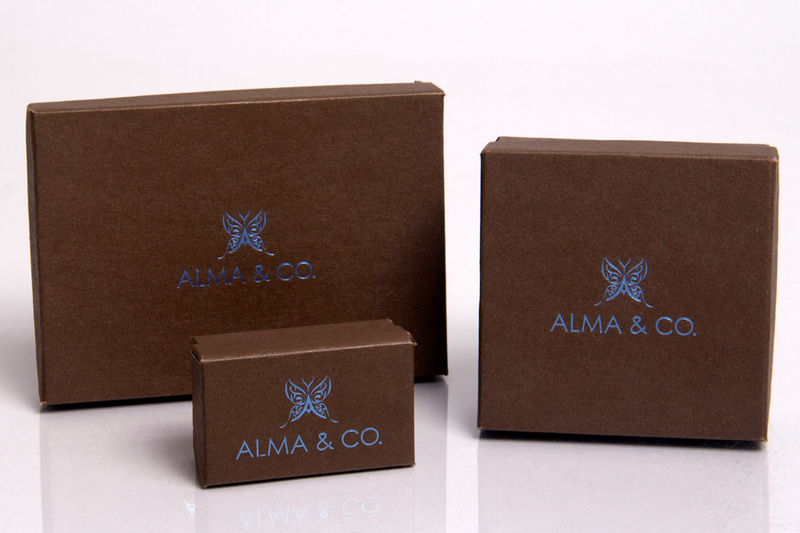 Your logo or design can be instantly printed onto the stock packaging of your choice using a hot stamp press. 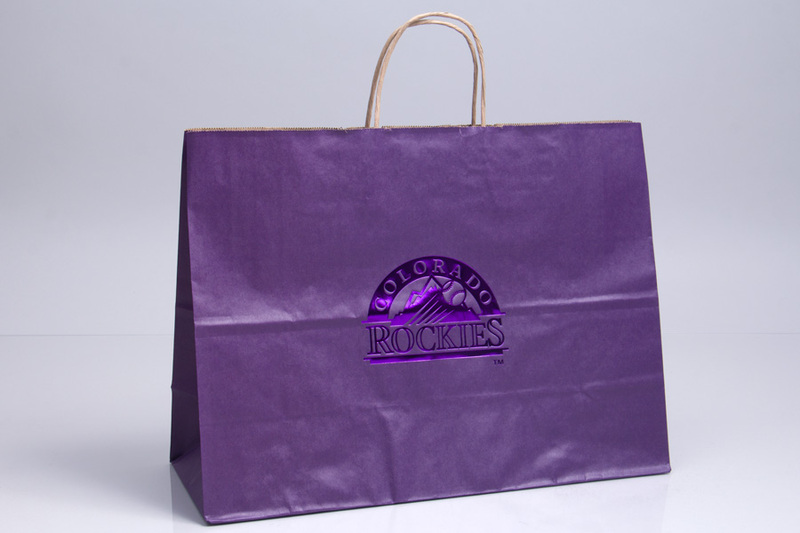 Choose from a wide variety of foil colors and finishes. Our stock metallic raspberry foil and metallic aloe foil. See how the printing happens and other foil colors to choose from. 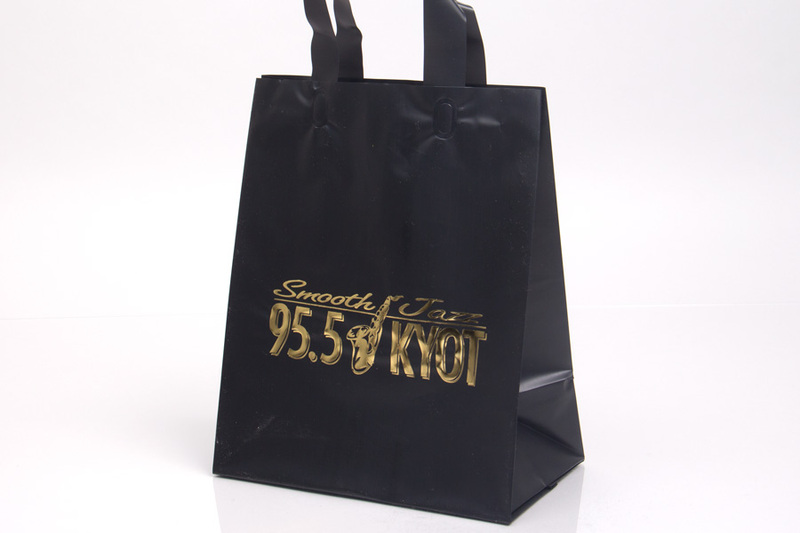 Our in-stock matte black eurototes with matching rope handles hot stamped with 2 foil colors on 1 side. 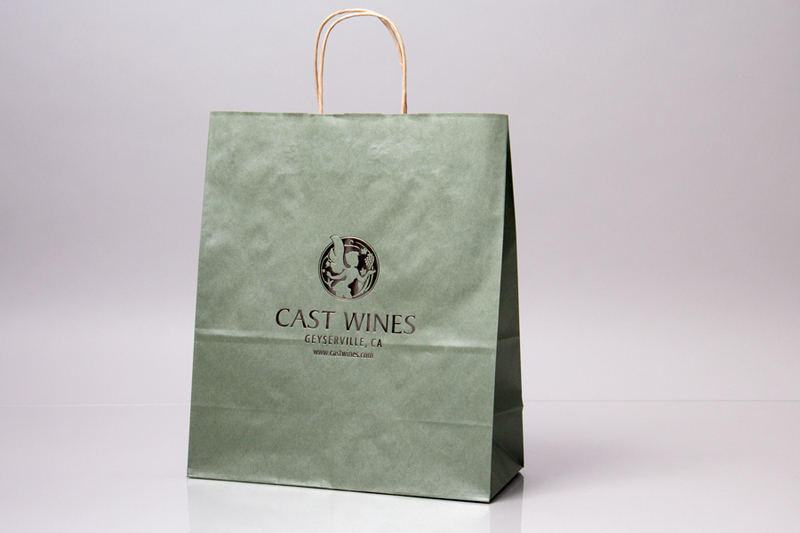 FOIL HOT STAMPING PROVIDES AN ELEGANT LOOK TO YOUR PACKAGING AT AN AFFORDABLE PRICE. 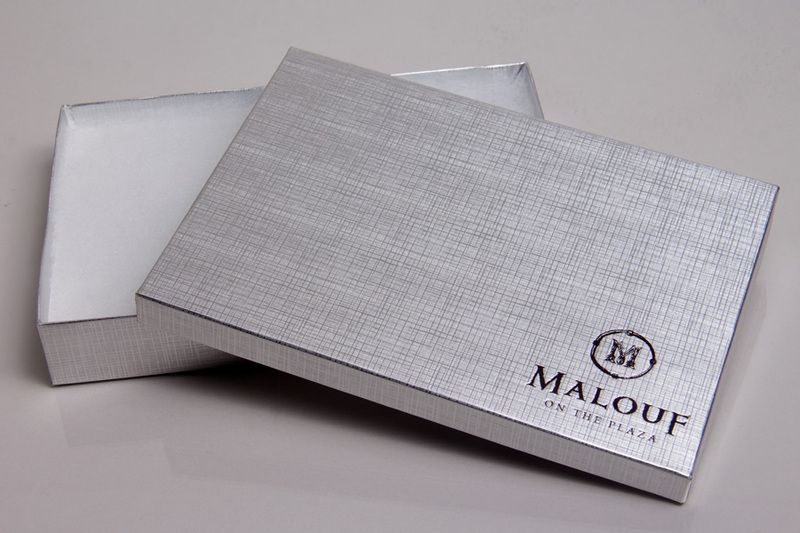 Hot foil stamping involves using metal magnesium plates to transfer foil onto a packaging product using heat and pressure. This method of post-printing is done after the product has already been made allowing for lower minimum order quantities. 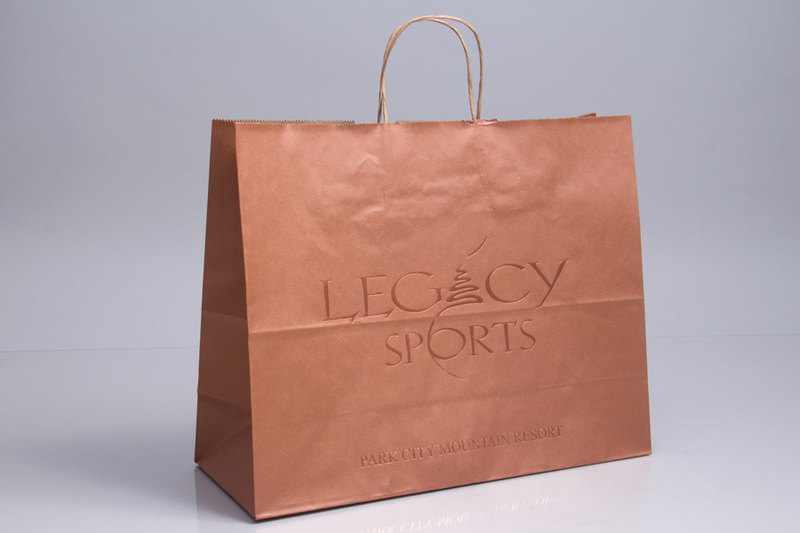 Hot stamping foils are available in a wide variety of colors including matte colors, gloss colors, and metallic colors. 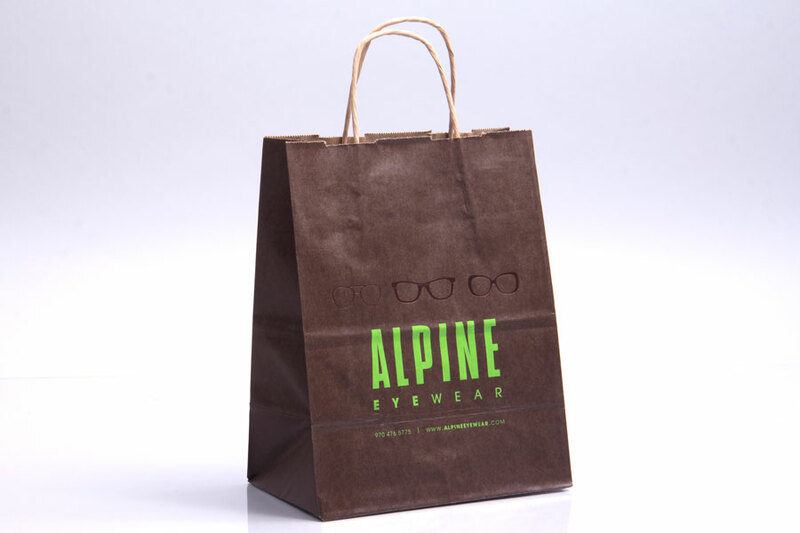 There are many in-stock packaging products that can be custom printed on including paper eurotote bags, paper shopping bags, gift boxes, jewelry boxes, reusable bags, plastic shopping bags, ribbon, and more. 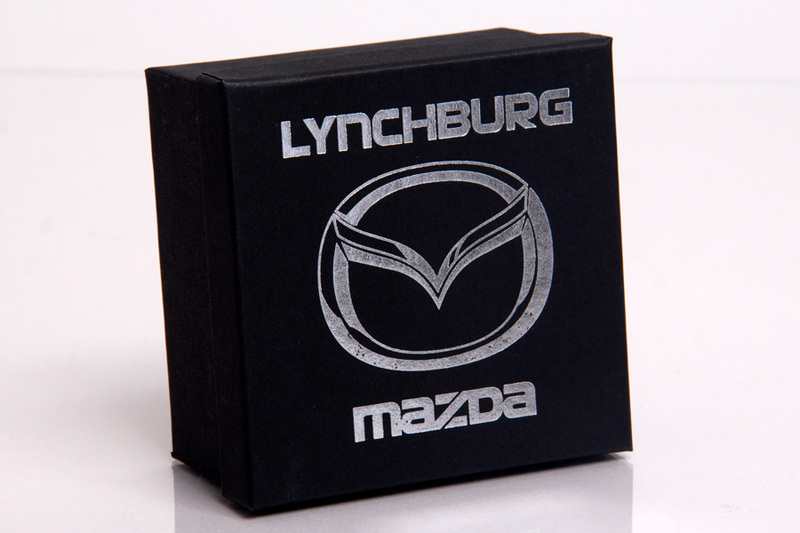 Hot stamping custom designs are usually a simple logo or design that produces a clean foil transfer. Our graphics department can review your artwork to determine if hot stamping is a good choice for you, or to offer advice on your design. Multi-color designs are possible but must be reviewed by our graphics department for eligibility. 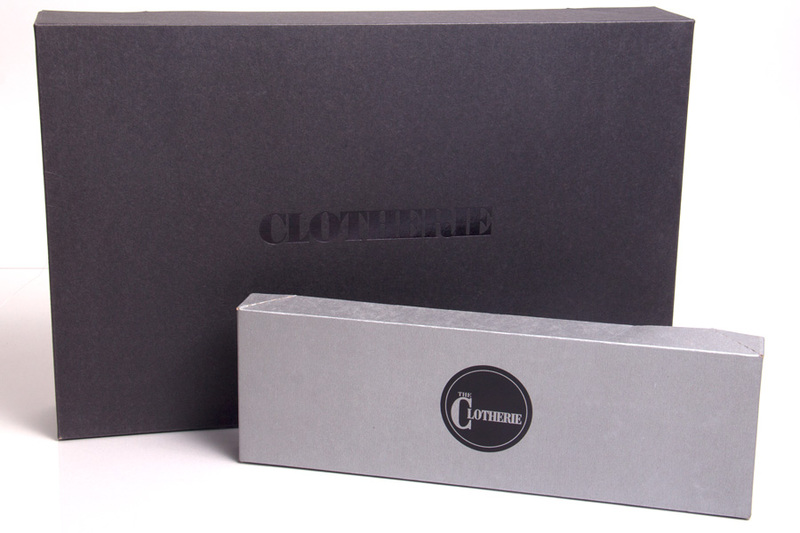 Hot stamping is a wonderful choice for businesses who want a luxurious custom packaging look without the high minimum quantities or long lead times. 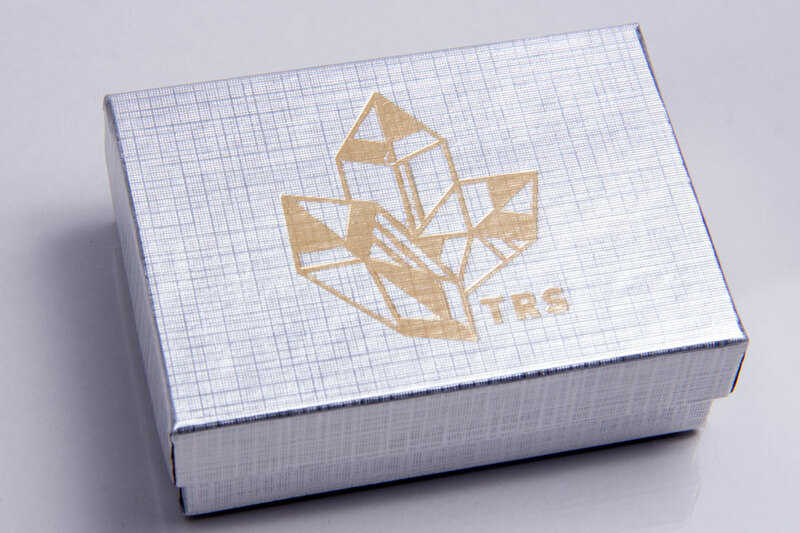 Because hot stamping produces a clean and professional permanent finish, it is a high-quality way to customize your packaging. 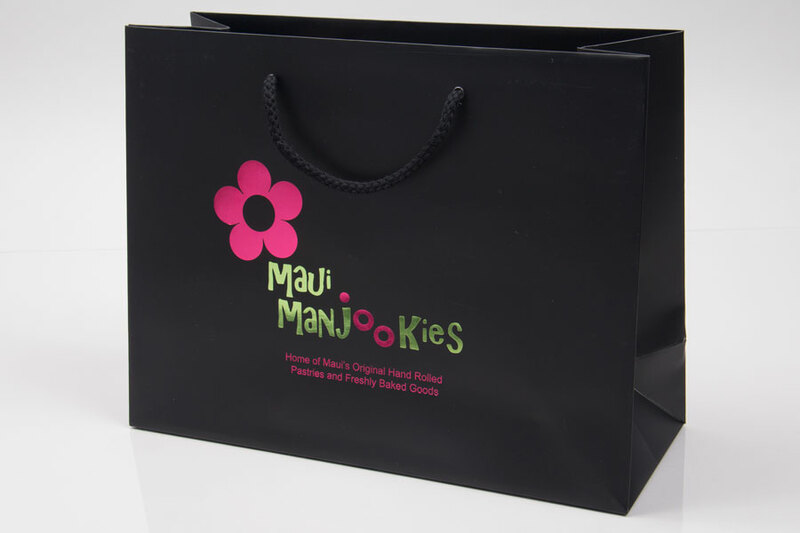 Many of our customers love foil hot stamping because it displays matte, metallic, and gloss colors beautifully, especially on eurotote shopping bags and gift boxes. Hot stamping can provide a vibrant finish or a subtle matte finish, depending on your desired look. 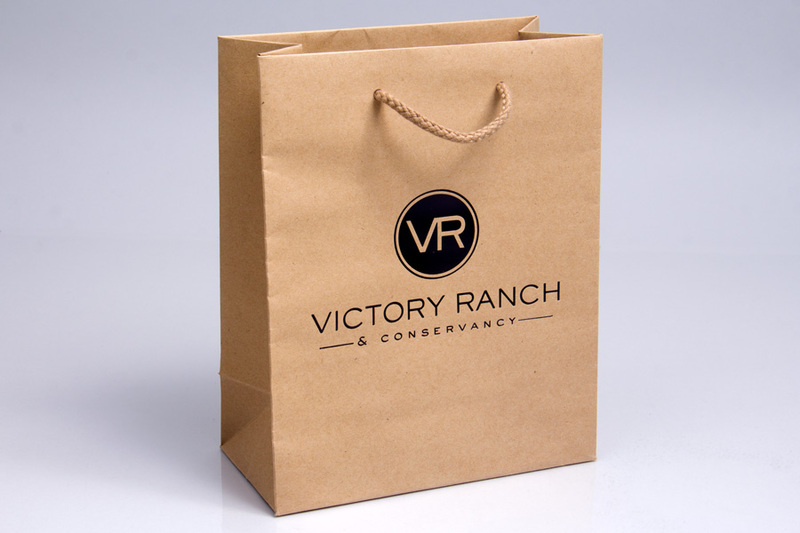 We pride ourselves on extremely high-quality standards and customer satisfaction as samples in our packaging gallery demonstrate. There are some limitations with semi-custom post-printed packaging. 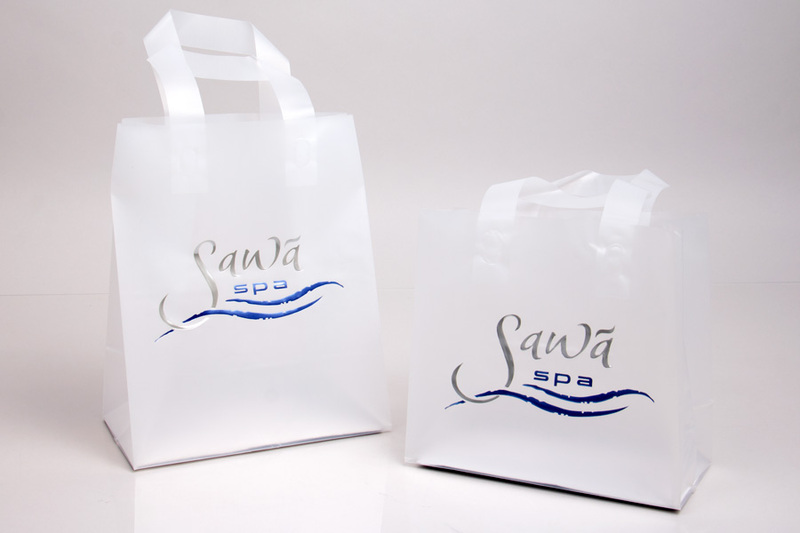 Since the products have already been made, we can only print on the center areas of the face and backs of bags. 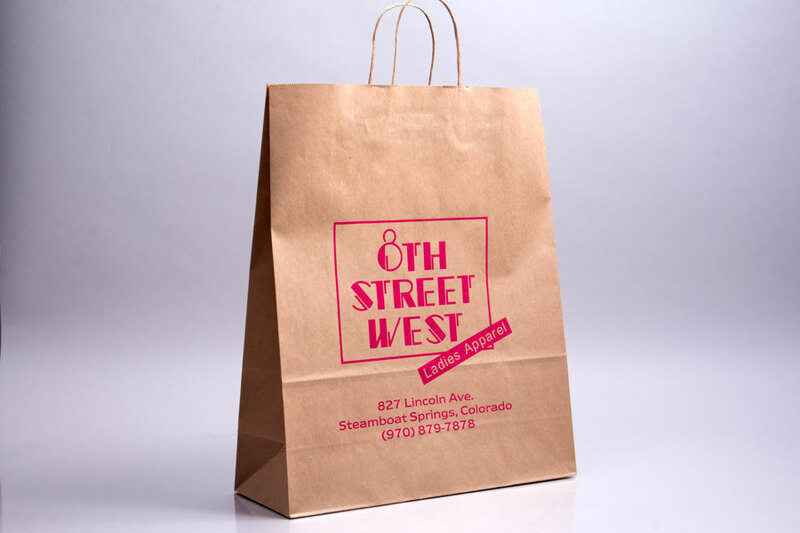 Printing into the gussets of bags, near the extreme edges or running the imprint off the edges or over the handle area of shopping bags is not possible with post-printing. 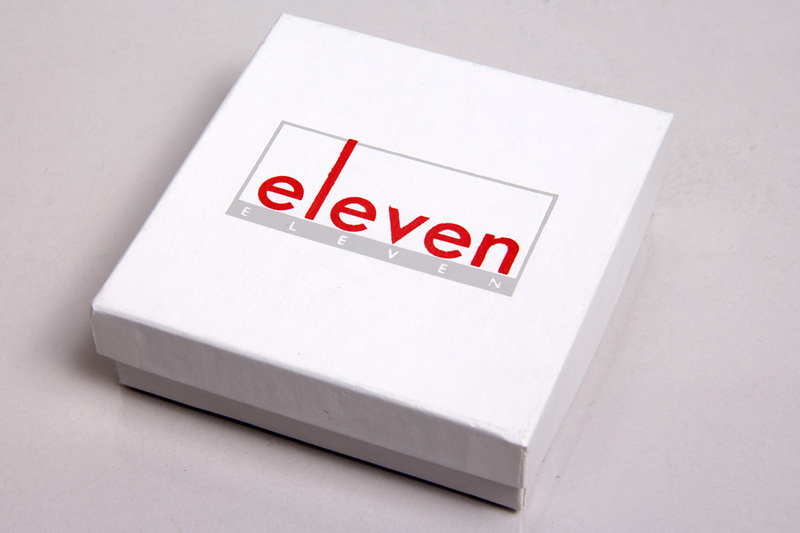 Printing on boxes is usually limited to areas of the box that have a common thickness of paperboard anywhere the imprint appears. Our in-house graphics department can help you with the placement and adjustments for your artwork for optimum print quality.